I don’t write a lot of bad reviews, but because this place is in a high end Casino and the prices are moderately high for some dishes. I feel that it is morally right for me to warn my readers about this place. The only good thing we had was the charcuterie board. Everything else that was ordered below was bad to awful. Fish and chips. Worst type of batter you can use for fish and chips. 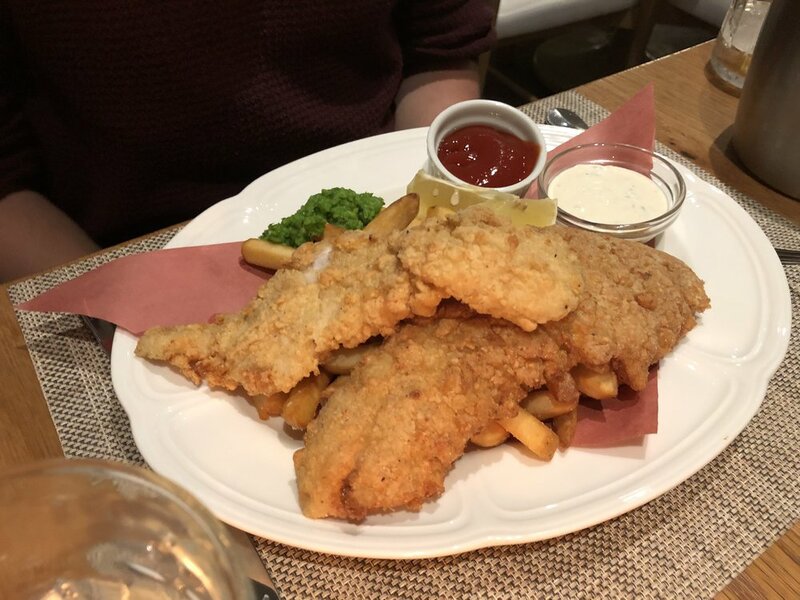 Imagine fish and chips you buy from the grocery store, the batter is floppy and has no crunch to it. The fish itself didn’t taste good at all, left a bad after taste. BC Poke Bowl. My friend had maybe a handful of bites and couldn’t eat it. It was that bad. She ended up being sick later in the evening and believes it had something to do with her dinner. I had the crispy chicken burger. The burger itself was ok, but the salad was perhaps the worst side salad i’ve had in my life. Each bite was just filled with salt. Of all the possible dressings you can use for a salad, why did you pick one that tastes like oil and salt? Overall, I find this place super pretentious, the food beyond mediocre, and the pricing does not match the quality. They need to make huge improvements before I would even consider revising my review. Rating: 2/5 I was going to give 1/5 but their Kentucky Old Fashion Cold Brew was really good.